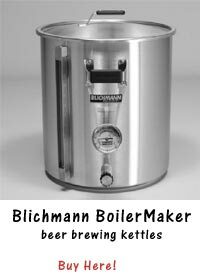 Once you reach the point with your homebrewing where you’re looking to up your game a little, you will no doubt find that you’re dreaming of flawless stainless steel equipment and accessories that elevate all of your special brews to new heights. While there are many choices you will find appealing, a stainless conical fermenter is a wonderful first piece to consider for a number of reasons. One of the major advantages attached to this particular type of fermenter is you can use it for both the primary and secondary fermentation processes, streamlining the brewing process quite a bit. Otherwise, you’ll need to invest in separate containers capable of meeting each need on a separate basis. Any homebrewer who’s been doing what he does for any length of time simply doesn’t need to be told what a blessing it is to be able to eliminate unnecessary equipment from the mix or bypass unnecessary steps in his brewing procedure. 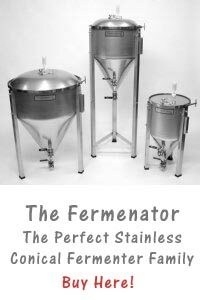 What’s more, a stainless steel fermenter is the type of piece that is meant to last a lifetime, making it a terrific investment for those who are serious about creating the very best brews possible. Even a small amount of foreign bacteria can ruin an otherwise delectable batch of homebrew once it’s allowed to introduce itself to the mix. A stainless steel conical fermenter worth investing in has the added advantage of promoting sanitation when it comes to your homebrewing projects and eliminating foreign bacteria. Lesser quality fermenters involve welding and seams that can trap bacteria and contribute to the frustrating contamination of your product. However, a properly made stainless steel conical fermenter is completely weld-free, keeping bacteria out of the mix altogether and preserving the integrity of all your precious brews. When it comes to standing up against wear and tear, as well as the ravages of time, you just can’t beat stainless steel. It’s more resistant to dents, scratches, dings, and blemishes than aluminum, its closest competitor. It’s also the type of material that can hold up to the use of industrial-grade cleaners that do the best job at promoting sanitary conditions. This is a piece of equipment that is truly built to last. Not only will you most likely be able to take advantage of its usefulness for the whole of your lifetime, but you will be able to pass it down to your children and grandchildren should they turn out to be interested in homebrewing as well. Experts in the field of homebrewing tend to agree that using a conical fermenter is one of the first things a serious homebrewer should do if they truly decide to become serious about their craft. Consider adding one to your collection and find out what a difference it makes in the quality of your brew.